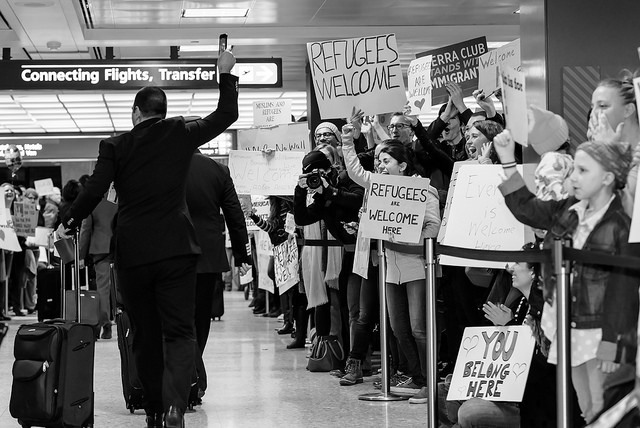 Home > Monthly Immigration Policy Calls: What is at Stake in the Global Refugee Crisis? More people than any other time in history have been forced from their homes. Violence and persecution in Syria, Afghanistan, Somalia, Central America, and beyond have displaced 65 million people around the globe. More than half of recognized refugees are children. The most recently announced U.S. policies have focused on restrictions on global and domestic commitments to refugees. The new administration has attempted to cut refugee admissions in half, from 110,000 a year to 50,000, and continues to expand efforts to block or intercept individuals fleeing violence in Central America’s Northern Triangle. This call will consider what role U.S. funders can play, both within the United States and internationally, in addressing the needs of displaced and vulnerable men, women, and children.